What does this mean? It means, first, that a Christian needs others because of Jesus Christ. It means, second, that a Christian comes to others only through Jesus Christ. It means third, that in Jesus Christ we have been chosen from eternity, accepted in time, and united for eternity. 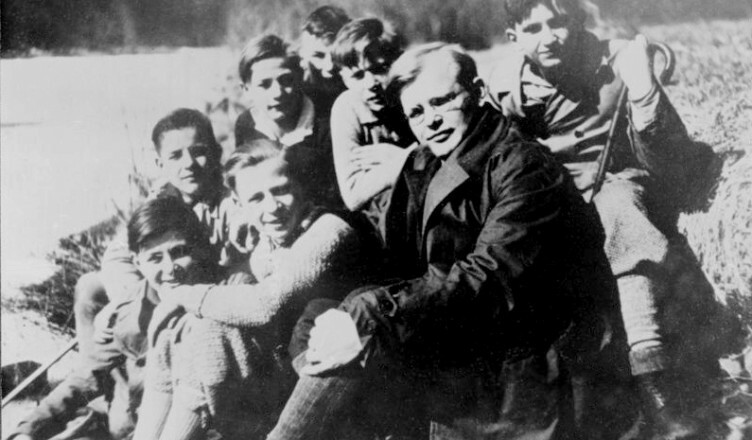 Bonhoeffer is primarily known for his Karl Barth-tinged interpretation of the Scriptures and his tortured decision to oppose the Third Reich at at time when to do so was destructive to social standing and bodily health. I appreciate his definition of Christian unity, in part, because it springs from these hostile and desperate conditions. His threefold description of Christian unity, because of Christ, through Christ, and in Christ chosen for eternity, seems to me to echo the finale of the High Priestly Prayer found in John 17:20-26 (a text from which I have preached here), a passage that highlights Christ’s lordship, Spirit, and eternal election. Bonhoeffer’s first point is one of Lordship. As Christ’s church, we are united because of Jesus is our Lord. Our oneness springs from his lordship over us and our loyalty to him as king. We are one in our belief in him as lord and savior of our souls and of the whole world. The gospel that we accept requires that we confess and worship one Lord Jesus Christ as our king, and we serve him above all others. No other loyalty can vie for our attention to him, and that alone is a great cause for unity. We show this loyalty to the Lord Jesus Christ by seeking one another out, pursuing community, developing intimate relationships where we can know and be known. This means suffering together, sharing in Christ’s suffering, as well in rejoicing together, in life, in worship, in small groups, wherever you find a gathering of believers. Paul’s comment also introduces the second way in which we are bound together. We are unified through the Spirit of Christ. The Spirit bonds each one of us together as it bears witness to us about the lordship of Jesus Christ. This is a deep existential connection that we have in common. We can all feel how the Spirit of Christ regenerates and indwells each one of us, and that connection means that in our deepest identities we share a spiritual DNA. We are of one species, as it were, sentient temples bearing the same spirit of the Lord, and becoming his presence here on earth (1 Cor 6:19). We give expression to our unity in the Spirit by our participation in the sacraments. Baptism provides the sign and seal of our entry into the covenant family, and the Lord’s Supper which is the regularly repeated sign and seal that we are members of this one body, sharing in the atoning work of Jesus Christ. Because of our communion and the intimacy with the Spirit, we should have a very high bar for what will divide us. We are bound by our mutual recognition that Jesus is our Lord. We are bound by sharing in his Spirit, but we are bound in another way. Finally we are the eternally ordained and redeemed people of God. The fact that we are chosen in Christ and given to him by the Father means that, like the Trinity, the unity of the church is not an ideal but a fact. Jesus is not about the work of making himself one with the Father. He is one with the Father. Likewise, we are already in a very real sense, united as the people of God, first in God’s eternal election of us according to his good pleasure, now in our true worship of him, and forever as the eschatological people of God. As the hymn writer says, “when we’ve been there ten thousand years, bright shining as the sun,” we will be as united as we are now in Christ. Christian unity is ours, so we do well when we repent and live toward that end.